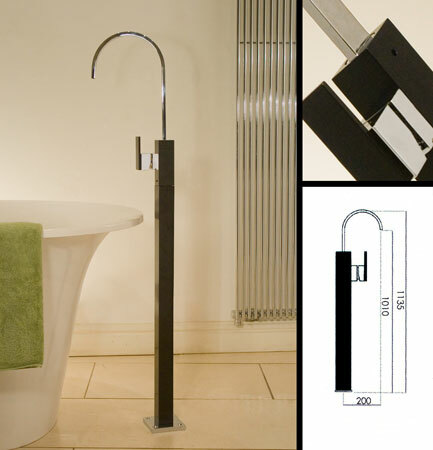 The Ebony floor mounted bath filler tap is finished in satin black and chrome. This superb design statement adds interest to bathroom design. * Italian bathroom tap design. * Conforms to ISO 9001:2000.